Marine Life. Japanified. 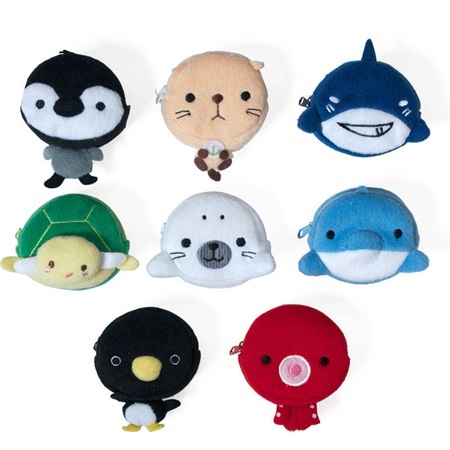 These wonderful plush sea animal zippered purses are so cute, you might have to create a little dry aquarium for them to hang out in. They are each about 2.25"in diameter (the head/purse) and they come assorted. I've never seen an octopus so cuddly. Perfect for small coins, trinkets. Assorted styles. Specific animal/fish cannot be ordered. Not for children under 12. Made in China. Please note this price is per purse.